To celebrate the release of The Lego Movie 2: The Second Part, The Lego Stores in UK and Germany are taking Emmet, the hero of Bricksburg, to Newcastle Metrocentre and Manchester Arndale. With official Master Builders flying in from the US, Lego fans will be able to build with them and construct a giant 8ft model of The Lego Movie star, Emmet. With building fun, quizzes and trivia – this free event aims to encourage family creativity this February. “This will be the first time The Lego Stores have brought our Master Builders to the UK and Germany for a long time and what better occasion than to celebrate the launch of The Lego Movie 2. 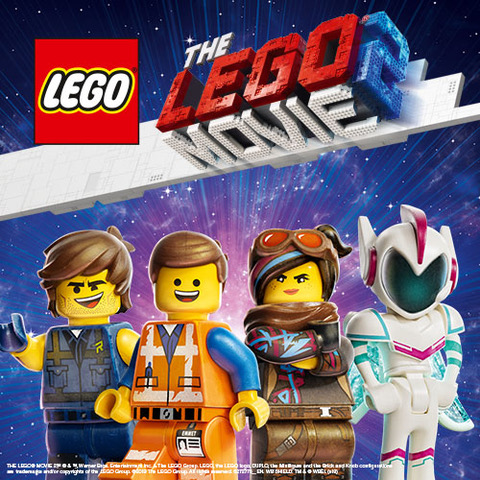 The event is free to attend and will be a fantastic experience for Lego fans of all ages to get hands-on, build, get creative, as well as explore the new range of Lego sets from the movie.” comments Fiona McPherson, Lego Retail Marketing Manager, The Lego Group. Agency PrettyGreen are behind the immersive activation.